Last June, when visiting an old friend in Palmer, Alaska, I learned about a veggie powder drink that one of her clients drank twice a day. The client’s daughter in Seattle, makes it. She was really jazzed by it. I bought a packet, which is enough for twice a day drink for one month. Cost $40. You add it to juice (I do it with Tropicana Orange juice) or water. Or you could make a smoothie with it. Shake it up with juice – it was quite pleasant. My friend in Palmer thought it had a yucky taste, but she only mixed it with water or apple juice – neither of which I would recommend, its alright, but my least favorite. Ok I figured I would just try it. Quality food in a small packet can’t be all that bad. What I did not expect was how it smelled when I first opened the packet (a vacuum sealed bag). It smelled like I just walked into a garden. Lo and behold, I was not hungry thereafter. A barrel of energy I have not felt in years and my body functions became normal, instead of slow, sluggish crap it had become. And it became a wow, a huge WOW. I can’t tell you how many times I re-read the ingredients list, thinking there must be some hidden ingredient to make me feel this fantastic.. Then I learned, due to the fact it bypasses the digestive enzymes and goes straight to your blood stream – you get the full benefits of this nutrition. Double wow. If you want the ingredients, just ask me. She is working on a web page and will be starting soon to sell it from there. I will share that when it becomes available. The instructions recommend the morning and evening drinking of this. Comes with a scoop to measure it. And for lunch you eat a quality lunch. No dieting here. Eat a hearty lunch. And drink plenty of water. Its the best thing for me living on the road… so easy… and so very good. Then I ran out and to make a long story shorter…. and as I was the first person, outside of the family and friends of the daughter, in getting this… its been a challenge getting it, until now. Or when I did, it was not the same formula. Jenny (the daughter) has been working or tweaking it for a few years. I met her in September in Seattle – a delightful gal, but was stunned to hear how old she was. I figured 30’s, not 50’s. She and her Mom in AK have been drinking this stuff for over 2 years – neither have been sick since they started drinking this. Her Mom is 94 years old. I can’t say enough good about this product. Am really jazzed by this discovery. So onward. I had injured my neck in Zumba a couple of weeks ago – or was it lifting all these books at the apartment… or was it slipping and falling on the ice… I don’t know, but I was out of commission for a few days. Then winter decided to show itself (finally!!!) in Haines with raining/snowing 3 inches of slush – what a mess! That’s now rock hard ice. My studs/cleats have zero purchase with this ice, so no walking on it. Then it snowed on top of the ice and went into the deep freeze. Today, its misty rain on top of all this… whoa is me. But today, I went back to Zumba. I only did 30 minutes and without weights. I did not want to abuse my shoulders or neck. 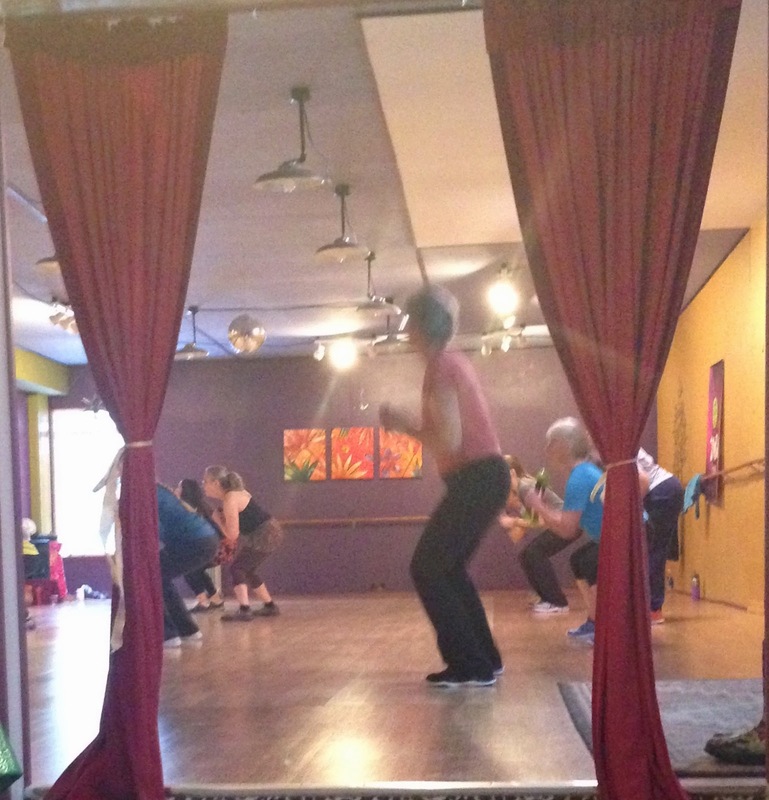 I just love this Zumba… Today tho, was the first time since starting that I really heard the music. Before, it was just trying to do the fast paced steps. I’m hooked. So have been seriously distracted with newfound friends, trying to re-focus to get back at the task at hand. Probably will get my friend Natasha to come back in to push me along. Her significant other hit a moose a few days ago, totaled his truck. Life is constant change around here. If it came from Washington, and makes you feel real happy, could there be a little weed mixed in?